The events happening in our world today are recorded in the Bible. Although we have not yet reached the end, we have already entered the birth pangs leading up to the end. 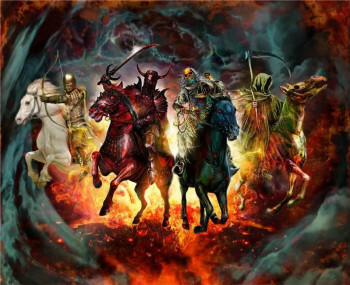 This post provides scriptural evidence that the four horsemen of the apocalypse appear during the time of birth pangs, which comes prior to the tribulation, along with links to my previous posts, which provide evidence the first three riders have already been released, which means the birth pangs have already started. The Apostle John saw four riders on horses released into the earth during the end-times. Their release comes as the first four seals are broken in Revelation 6:1-8. Their appearance releases four different types of trouble. Jesus identified these same four events in the same sequence as the first four seals. A close comparison of the events listed by Jesus with the events released by the four horsemen in Revelation 6 reveals they are the same events. They are even listed in the same sequence. Jesus identified the arrival of false messiahs (Matthew 24:5). John saw the arrival of a specific false messiah, the one called the antichrist. This is breaking of the first seal, which releases the rider on the white horse (Revelation 6:1-2). This rider is a false messiah hiding behind the imagery of the Lord Jesus Christ. Jesus identified wars and rumors of war and said, “You will be hearing of wars and rumors of wars. For nation will rise against nation, and kingdom against kingdom.” (Matthew 24:6-7). John saw peace would be removed from the earth, which means world war. This is the breaking of the second seal, which releases the rider on the red horse (Revelation 6:3-4). As a result, men begin to slay one another. Jesus identified famines in various places, which are most likely the same places where wars have been fought because historically famines are a natural by-product of wars (Matthew 24:7). John saw scarcity of food supplies causing hyper-inflation, which causes famines. This is the breaking of the third seal, which releases the rider on the black horse (Revelation 6:5-6). Jesus identified earthquakes in various places (Matthew 24:7). John saw a rider on a ashen (pale green) horse released after the fourth seal is broken. The rider’s name is death, and Hades follows after him. Hades is the place of departed spirits, which is the grave and hell, which are both located below the surface of the earth. The release of Hades onto the surface of the earth requires the earth to shake and break open, which is why Jesus described it as earthquakes. The Greek word used there is seismos, which means shaking. The earth is going to shake as death and Hades are released. Together they will be given authority over a fourth of the earth to bring death through a variety of ways, including the sword, famine, pestilence, and by the wild animals of the earth (Revelation 6:7-8). Since Jesus and John are both describing the same events occurring in the same order, and since Jesus called these birth pangs, we can also conclude the trouble caused by the four riders is also the birth pangs. This is truly significant because it contradicts the popular belief that the four riders appear during the tribulation period. In reality they appear prior to the tribulation during the birth pangs. Then shall they deliver you up unto tribulation, and shall kill you and ye shall be hated of all the nations for my name’s sake. And then shall many stumble, and shall deliver up one another, and shall hate one another (Matthew 24:9-10). The Greek word translated as tribulation is thlipsis, which literally means pressure. It is often translated as trouble, affliction, persecution, tribulation, and even torture. The term “tribulation period” comes from this word. 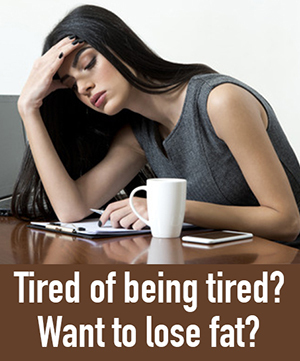 It could just as easily be called the “pressure period.” Regardless of what we call it, it begins after the birth pangs have completed. The tribulation period corresponds with the breaking of the fifth seal. Both Jesus and John identified this period as a time when Christians would be put to death in large numbers. Jesus called this tribulation. The good news is this period is limited to just 42 months (Revelation 13:5). The Bible does not identify how many months or years pass during the birth pangs. Perhaps this is because the trouble comes and goes, so the trouble is much shorter than the total period. The pain stops after each event and we return to normal life again hoping all is well, only to find the trouble returns even more intensely the next time. The parallel between the events of Matthew 24 and Revelation 6 continues with the breaking of the sixth seal, which releases a great shaking of the heavens unlike anything that has ever happened. In both cases, the sun is darkened, the moon does not give its light, the stars fall from heaven, and the powers of the heavens are shaken (Matthew 24:29, Revelation 6:8-11). My previous posts documented evidence the first three horsemen have already been released. The release of the third rider is documented in my previous post, The Rider on the Black Horse Coming in September 2015. Do u still believe Barack Obama is the Antichrist? He is now on the way out and I do not see him as such. His identity does not change just because he leaves the White House. God showed me he has two assignments with the first being to take action against the strongest of fortresses, which is the United States, as revealed in Daniel 11:39. I don’t believe he has completed that assignment yet, which means he will continue working in new ways. He has even made comments recently about his intentions to continue pursuing his agenda. http://mileswmathis.com/trump.pdf …. interesting speculation on ancestry. Bottom line is we don’t know for sure. James, I also prefer thinking outside the established views of end days events. Lately I have been studying the “pre-wrath” view of end times and it seems that your teaching has a lot in common. Question. I haven’t read all your posts so forgive my ignorance of your position, but do you believe the concept that there is a 70th week of Daniel yet to be lived out? Since the tribulation (great tribulation?) comes on the heels of the birth pangs, would it be logical to assume that the birth pangs also last 42 months to complete the 70th week of Daniel? I believe Daniel’s 70th week comes at the end because Daniel was told it was for the time of the end and because the events shown to him in the prophecies have not yet been fulfilled. Regarding the birth pangs the Bible does not tell us how long they last, which makes sense because birth pangs have varying amounts of time between contractions. Terry Bennett saw these events in a vision and was told by the angel Gabriel the rise of the antichrist would cover the 21-year period from 2008 to 2028. I shared his vision in my previous post, Terry Bennett: You Will See 666. God is in control. By God the Holy Ghost scripture is revealed. There are many applications of scripture including end time prophesy when taught by God the Holy Ghost. (Holy Spirit) Many have the 4 horsemen understanding differently from other people. The Ervin Baxter understanding is well constructed and does satisfy world government and times and events. Remember, this is only a single revealing by the Holy Ghost. There are other revealings by God the Holy Ghost that are also truth. Never think there is only one revealing for any scripture. The four horseman of the apocalypse can also apply to the United States Government (only example not prophesy, please understand) with the white horse being the birth of the nation, the red horse being trial and testing of the nation from its birth, the black horse being USA sovereignty and strength and the 4th horse being the final challenge of the USA. This is to demonstrate by fictional means that God is in control. God teaches scripture through his prophets. There can be and usually is more than one revealing for both seasons and years and periods and peoples. The word of God is perfect and without equal. By his Word we live, by his Word they die. That is demonstrated when the millennial reign of Jesus Christ Comes to earth when he sets his feet upon the mount of Olives. The great purge of evil is completed. Amen. The Greek adjective for the color of the last horse is Chloros, from which we get the word chlorophyll. It appears in the bible in only 2 other places, both of which translate it as Green. (“…and the green grass was burned up…” one of the trumpets of Revelation, I think.) Irvin Baxter’s TV show, The End of the Age, had a segment featuring a European news clip from riots in Egypt that VERY CLEARLY showed a green rider on a green horse, both ethereal, riding above the heads of the crowd. Sorry I don’t have verse references or link; I’m in bed and almost asleep. Maybe someone else can help with that. But I respectfully submit that the fourth rider has also been released. Food for another post, if you can flesh it out. I think Baxter’s website is endtimeministries.com. I saw the video and it is super creepy. I will try to find it again and post it soon. Could the rides of Revelations be the same man just at different stages? Below is the Pergamon alter, a replica on which he accepted the nomination. I do not see a link for The Rider on the Black Horse post. I tried the search box, too, but it didn’t come up. Can you please direct me to it? Thank you! Sorry, I have a lot of new posts coming this weekend and they all link to each other. That one should be online by Monday. How could you think barack had anything to do with the beginning of the birth pangs?